Our Taste of Peru tour is one of our most popular itineraries as it is unique and includes exclusive culinary activities especially designed by us. This tour mixes a taste of native “criolla” and traditional food with trendy fusion cuisine through demonstrations, cooking classes, and tastings. All of this is wrapped in a framework of history and culture that explains each part of the tour and helps our guests understand the origin of all the wonderful, distinct tastes. Upon your arrival, one of our representatives will meet you at Lima Jorge Chavez international airport and take you to your hotel of choice in Lima. You will have time to freshen up and rest after your journey. 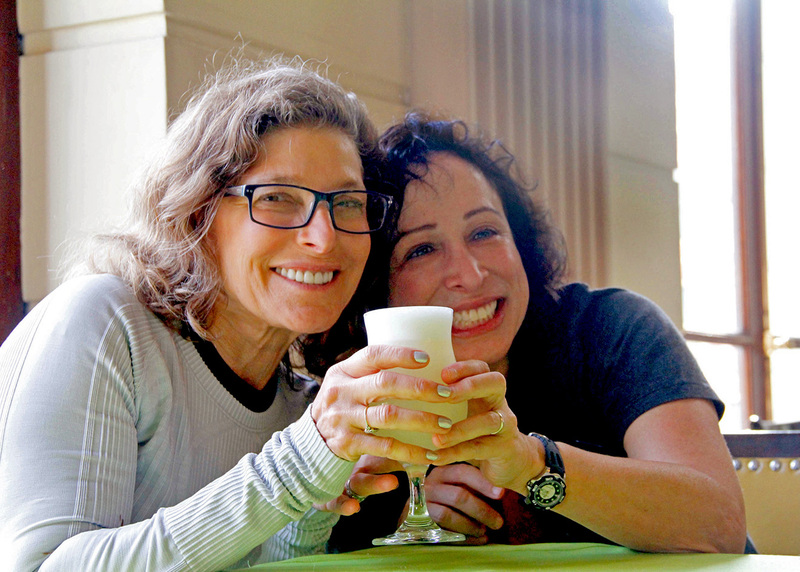 *An extra day in Lima can be added upon request as well as additional activities and meals. After breakfast at your hotel, one of our representatives will meet you at your hotel for your market visit and fruit festival. The local market visit is a great way to experience a little bit of the Peruvian culture in its daily life. Here you can find and taste the best variety of vegetables and fruits, including exotic products from the “Andes” and the “Jungle”. You will also participate in a very special Ceviche Mission, which is your secret mission. We will give you the recipe, ingredients list and money to buy all your supplies to make your Ceviche (don’t worry if you don’t speak Spanish, this is part of the fun). 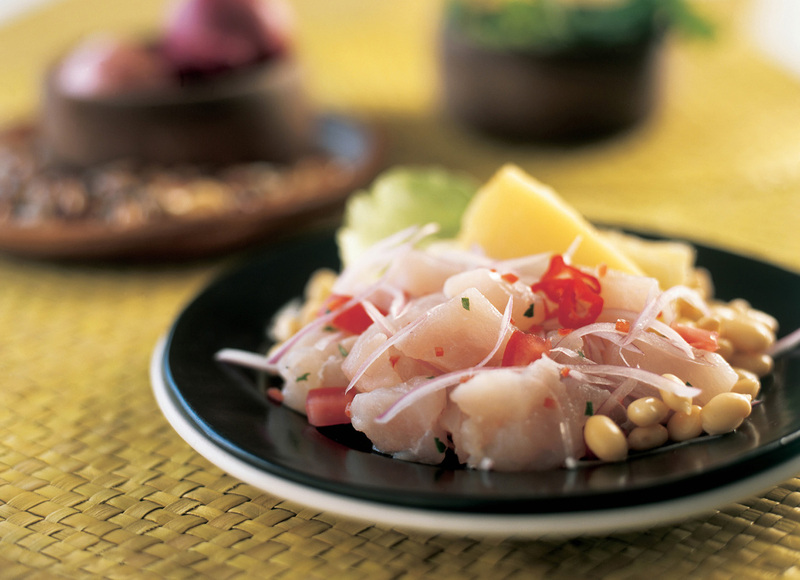 After the shopping, one of our chefs will teach you how to prepare a traditional Ceviche. In the evening, you will once again be met at your hotel and taken to Astrid & Gaston for a special and exclusive 12-course “Tasting Menu”. 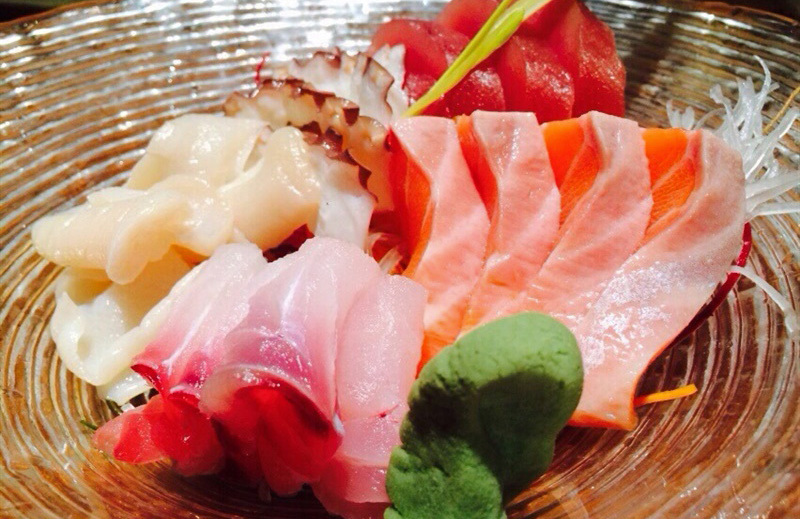 You will taste traditional dishes presented into a creative and new form. At the end of the dinner, you will be taken back to your hotel for the night. *An extra day in Lima can be added upon request, as well as additional activities and meals. After breakfast at your hotel you will be picked up for your Introduction to the Peruvian Cuisine Class at Senorio de Sulco Restaurant, whose Chef and owner Flavio Solorzano will teach you the quintessential basics of Peruvian Cuisine. 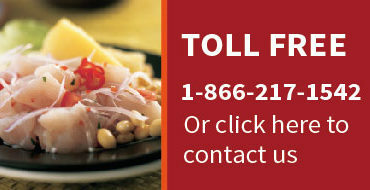 You will learn how to prepare Peru’s staple dishes, and afterwards you will enjoy a full tasting. 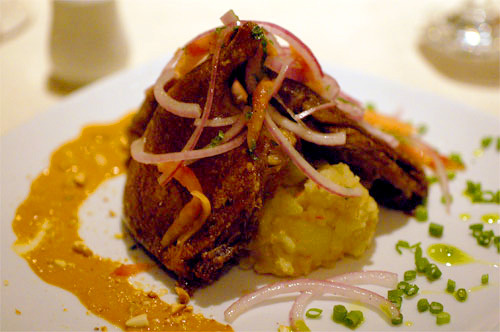 After lunch you will start your Lima City tour. Sites to be visited: Main Square, the Cathedral, the Government Palace, the City Hall, the San Francisco Monastery (including catacombs), old streets with colonial houses, and a driving tour through the beautiful districts of San Isidro and Miraflores. At the end of the tour, you will be taken back to your hotel to rest before dinner. You will then be picked up and taken on a special Author’s Fusion Dinner at 1087 Bistro. Executive chef and owner Palmiro Ocampo creates each and every dish as if he is creating a piece of art. At the conclusion of the dinner, you will be taken back to your hotel for the night. 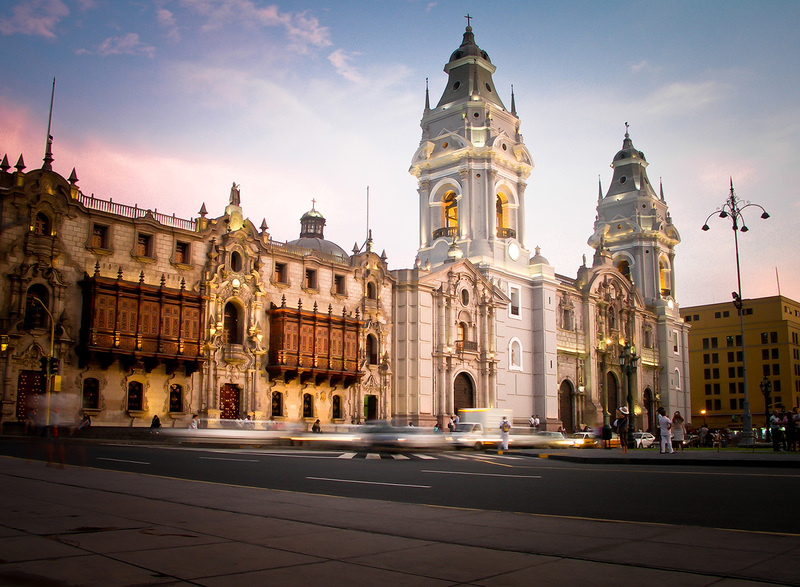 *An extra day in Lima can be added upon request, as well as additional activities and meals. After breakfast at your hotel in Lima, you will be taken to the airport to catch your short flight to Cusco. You will be met upon arrival and transferred to your hotel of choice. The remainder of the morning is free to rest and freshen up. It is best to take it easy this morning to let your body adjust to the altitude. In the afternoon you will be picked-up at your hotel and taken on a grand tour of Cusco. We walk Cusco’s impressive Plaza de Armas and visit both the Spanish cathedral and Inca temple of the sun, Qoricancha. Next, we visit the ruins above the city: Sacsayhuaman, Tambomachay, the Temple of the Sacred Waters, and Q´enqo. In the evening, you will be picked up and taken on a Novoandina dinner at MAP Café, located in the Museo de Arte Precolombino (Museum of Pre-Inca Art), where you will be introduced to tastes rarely experienced before. At the end of the dinner you will be taken back to your hotel for the night. * An extra day in Cusco can be added upon request, as well as additional activities and meals. After breakfast at your hotel in Cusco we set out into the Urubamba Valley. We will start our visit at Pisac Ruins,one of the most beautiful archeological site. Then we will have some time to have lunch and recover energies to continue with the tour. Finally, we head deeper into the Valley and visit the town of Ollantaytambo. 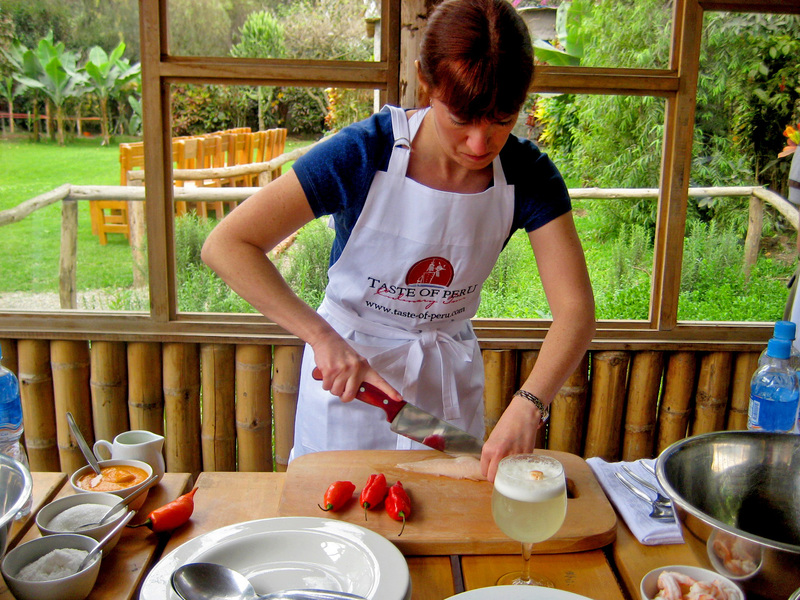 At the end of the tour, you will take part in a unique, once-in-a-lifetime experience in the Sacred Valley, specially catered for you at the Huayoccari Hacienda: a Demonstration of Local Vegetables & Home-Style Cooking Class. You will have the opportunity to take part in a special lunch at the hacienda, which will be made from fresh products from the plantation. After lunch, we head to the bustling market-town of Chinchero. The main sight to see here is a catholic church with paintings from the Cusquenian School. At the end of the day you will go back to Cusco. * An overnight in the Sacred Valley can be added upon request, as well as add additional activities and meals. After breakfast you will enjoy the morning in Cusco, you will be picked up at your hotel and taken directly to the airport in order to catch your short one-hour flight back to Lima. Once you arrive in Lima, you will be met at the airport by one of our representatives and taken to your hotel. You will have the afternoon free to rest from your Cusco adventure. In the evening you will be met at your hotel and taken on your Pisco Tasting class and to the dinner at Malabar restaurant. You will learn to prepare new and trendy Pisco drinks with exotic fruits in addition to the traditional Pisco Sour at one of Lima’s coolest spots: Malabar Restaurant. After your Pisco experience you will try Chef Pedro Miguel Schiaffino’s cuisine characterized by the use of jungle ingredients. At the end of your Amazon fusion dinner, you will be taken back to your hotel for the remainder of the night. *An extra day in Lima can be added upon request, as well as additional activities and meals. 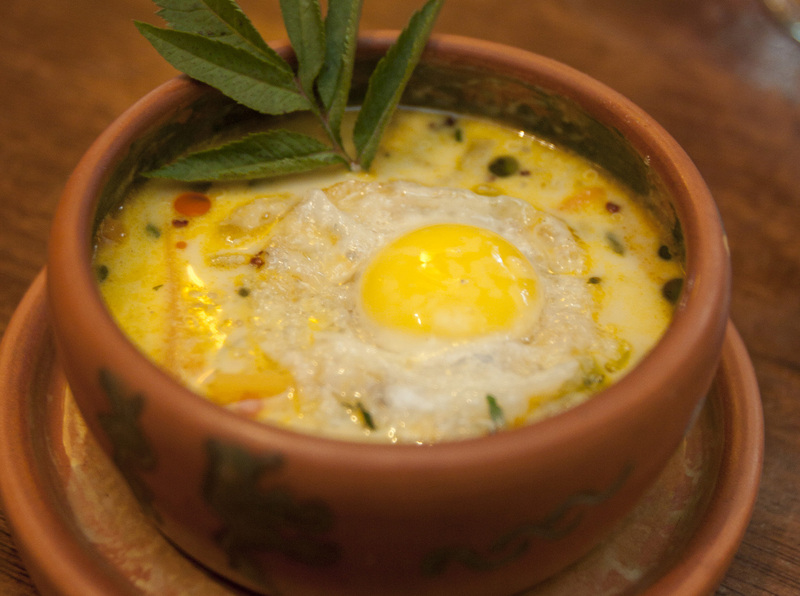 After breakfast you will be met in the lobby of your hotel to be taken for lunch to Huaca Pucllana Restaurant, proud to maintain Peruvian flavors as a base for its cuisine. At the end of the lunch you will be taken back to your hotel to have some time at your leisure. This free-time will allow you to get ready for your flight back home. In the evening you will be picked up, and after a quick check-out, you will be taken on your farewell Nikkei dinner at Costanera 700, one of the best restaurants in Peru. 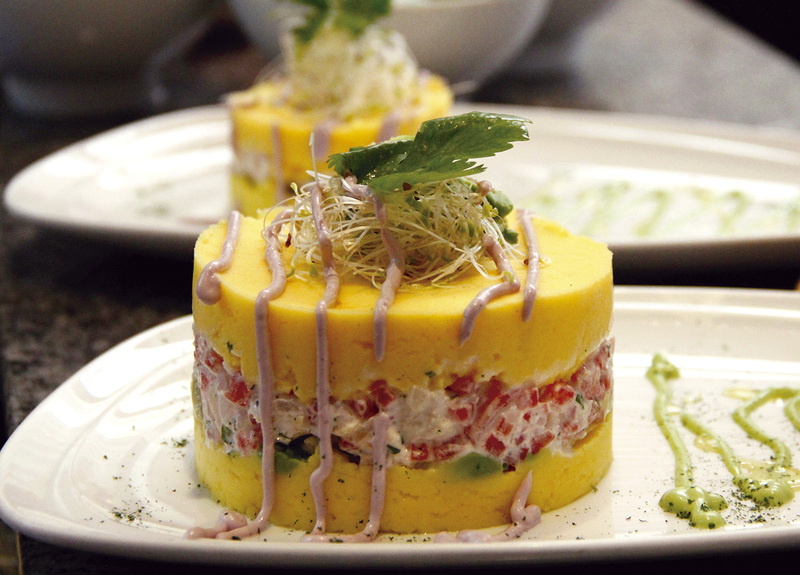 You will experience the Japanese and Asian influences in the Peruvian Cuisine. At the end of the dinner your trip to Peru winds to an end as we transfer you to the airport to catch your flight back home. * Please let us know if you like to add extra activities or an extra day hotel if your flight is the next morning.